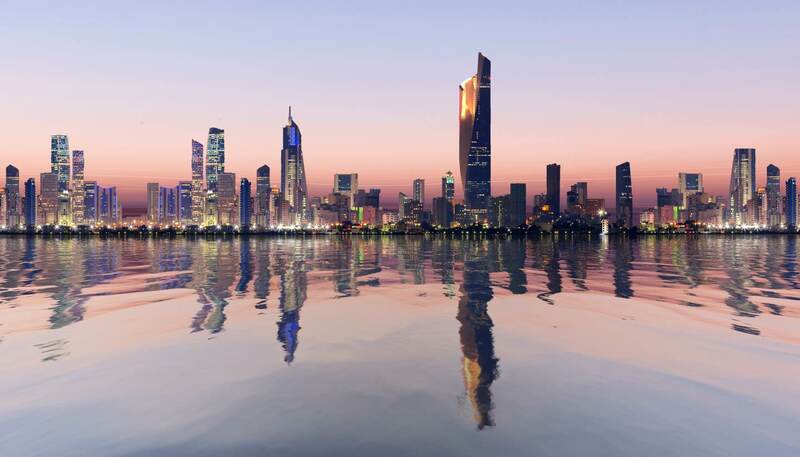 With the mighty Kuwait Towers dominating the skyline and a magnificent Kuwait National Cultural District (KNCD) that serves as the largest cultural centre in the Middle East, Kuwait City is opulent without a doubt. But the city is also forward-looking; it has a liberal atmosphere and there are more Kuwaiti women in the workforce than men. Most importantly, the city welcomes visitors with its renowned Arab hospitality and is keen to share its unique history and culture with you. Summer (June to September) is incredibly hot and dry, with temperatures reaching up to 50C! June and July also bring strong winds and heavy dust storms that can last for many days. Autumn (October to November) is still warm, with temperatures hovering around 30C. Heavy thunderstorms may occur from time to time, bringing relief. Winter (December to February) sees temperatures drop quite substantially, hitting between 10C and 20C. Between November and February is the camel racing season so come to the At-Atraf Camel Racing Club to enjoy this spectacular. The country also celebrates Hala, the month-long cultural festival, in February. Spring (March to May) is also a good time to visit Kuwait City as temperatures are much more bearable, in the upper 20Cs. Most visitors to Kuwait City get around by taxi. A majority of the taxi services offer a flat-rate price and you can ask you hotel to recommend a safe service or hail a cab from the street. Check out the Getting around Kuwait City guide for information on public transport and car hire. With over 30,000 pieces of Islamic art and other curiosities including ceramics, scientific instruments and manuscripts, this museum is an extraordinary treasure trove of historical significance. As an added bonus, there is also an auditorium that hosts regular concerts. The Scientific Centre is home to the largest aquarium in the Middle East, as well as an impressive IMAX cinema and educational hands-on exhibits. With large floor-to-ceiling tanks filled with sharks and rays, feeding time at the aquarium is an exciting and astounding affair. This museum is divided into four main sections: the Kuwait Heritage Museum, the Archaeological Museum, the Boom Al Mouhallab dhow, and a Planetarium. There’s a lot to see and do here, with over 2,000 items depicting Kuwait’s heritage and the opportunity to take a 3D trip to space. 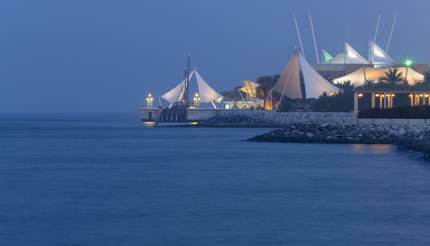 For more ideas on where to go in the city, take a look at the Things to see in Kuwait City page. 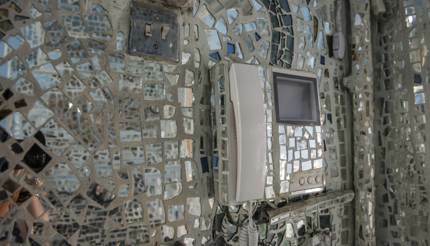 Around 77 tonnes of mirror mosaics cover the inside and outside of this incredibly eye-catching building. As the building is residential, you should ring ahead to book a tour. This museum houses an eclectic mix of treasures from jewellery and historical costumes to manuscripts and masonry. Once the private collection of Kuwait’s first minister of antiquities, it is now open to the public. Hummus – made from chickpeas and used as a dipping sauce. 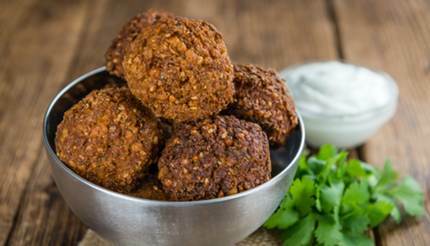 Falafel – fried balls made from ground chickpeas. Typically served in a pita with hummus and salad. Meat/fish marag – a dish of fried or boiled meat/fish which is steamed together with a variety of spices. Aish – a type of Arabic flat bread. Tipping: A 15% service charge is usually added to bills in hotels, restaurants and clubs. In all other places, 10% is acceptable. Kuwait City is well known for its 5-star luxury hotels such as Le Méridien and the JW Marriott. Many people would be surprised to know that the city boasts much affordable accommodation. For example, the Mirage Suites Hotel offers excellent sea views and is well below £100 a night for a room. 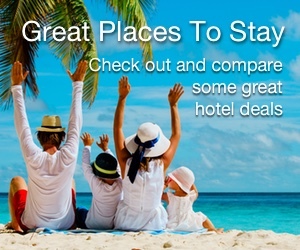 For more hotel recommendations, visit the Hotels in Kuwait City guide. Kuwait City is the place to be for a genuine Arab-style shopping experience. The Old Souq (Souk Al-Mubarakiya) sells just about everything imaginable. 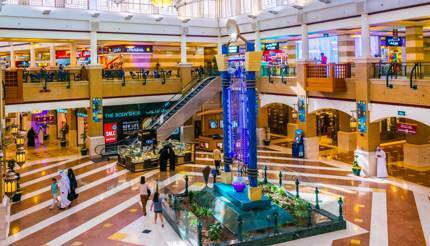 For a more modern experience, The Avenues Mall, the largest shopping mall in Kuwait with more than 800 stores, doesn’t disappoint. For more places to shop, see the Shopping in Kuwait City guide. The aptly named Entertainment City is located just 20km outside of Kuwait City. With its four areas of themed rides, spectacular gardens, a vast lake, an open-air Roman amphitheatre, and a mini golf course, there is much to do at this Kuwaiti theme park. For more ideas of where to head outside of Kuwait City, visit the Kuwait City tours and excursions page. Australian, Canadian, American, EU and British nationals need a visa to visit Kuwait. As well as this, your passport must be valid for at least six months from the day you arrive. For more information, check out the Kuwait Visa and Passport Requirements page. Before you venture out to exciting Kuwait City, use the Kuwait City guide to help you plan your trip.